InterNations Smoothies n' Fruit Rolls!!! Let's Rock 'n Roll!! Have you visited the Avila yet? No? 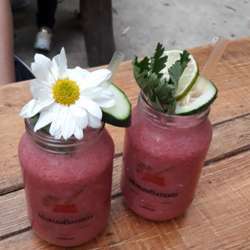 Well, come join us on this visit to the entrance to Sabas Nieves for some of the best smoothies in town! Let's share our stories on resilience and have a great time mingling with other global minds and making new friends!